We can't rule out Power Rangers 2 just yet. The first Power Rangers reboot dramatically underperformed at the box office, which seemed to really hamper Lionsgate and Saban's plans to make this into a seven movie franchise. However disappointing as the box office results may have been, it sounds like the studios both want to move ahead with a sequel, if they can make it work. According to director Dean Israelite, they are actually having discussions right now. 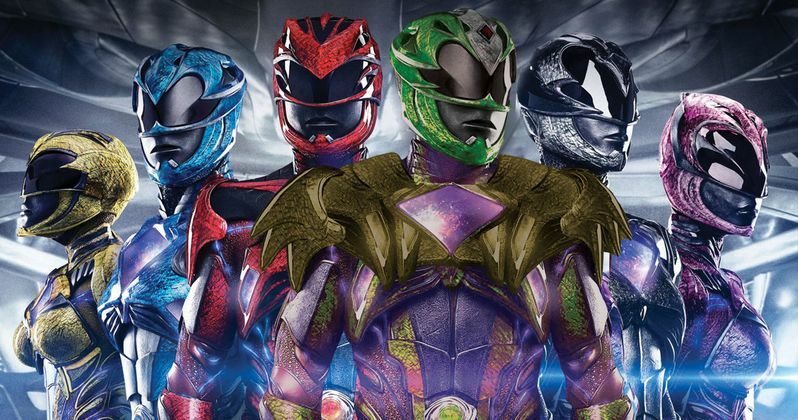 The director recently spoke with Screen Rant in honor of Power Rangers arriving on Blu-ray/DVD and digital platforms. During the conversation, Dean Israelite was asked about the possibility of Power Rangers 2 and, even though it doesn't financially seem to make sense, it isn't off the table and it is being talked about as we speak. Here's what the director had to say about it. Major studios absolutely love franchises right now and, even though Power Rangers didn't make what they were hoping it would make, there is a tremendously large and dedicated fanbase. If Lionsgate and Saban can bring down the budget for Power Rangers 2, which doesn't seem all that likely, for the record, this could still prove to be a worthwhile endeavour. The first two-thirds of this first movie weren't quite as special-effects-heavy as the third act and, as is the case with most sequels, they will probably want to up the ante in that respect. So there is no reason to think Power Rangers 2 would cost less than the reported $100 million budget of the first movie. Power Rangers was set up to be a long-running franchise before it ever got going, and that may have been putting the cart before the horse a bit. The movie grossed $140.2 million worldwide which, in some cases, would be pretty good. But given the $100 million budget and the equally large marketing budget, it is going to lose money for the studio. Probably. Reports have claimed that the toy sales related to Power Rangers have been very good, which could help Lionsgate and Saban justify a Power Rangers sequel. Related: Power Rangers 2 Not Happening as Saban Abandons Movie Logo? Spoilers for the Power Rangers movie, but fans have at least one very good reason to hope Power Rangers 2 happens. A post-credit scene heavily teased the arrival of the Green Ranger in the sequel, which is something many would really like to see on the big screen. If you're one of those fans who really want to see it happen, perhaps running out and picking up a copy of the Blu-ray or renting the movie may help make it so. Dean Israelite wants to come back for Power Rangers 2. The cast is surely signed on for a multi-picture deal. The ball is in Lionsgate and Saban's court. Now, the waiting game.